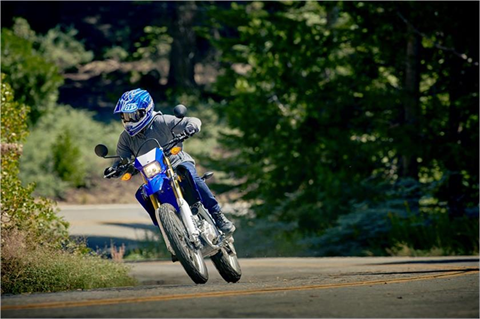 The pinnacle of reliable performance dual purpose bikes, designed to continue the adventure when the road stops and the trail begins. YZ-STYLE CHASSIS: YZ/WR250-inspired semi-double-cradle frame uses a main frame of cast and forged aluminum sections, with high-strength steel down tubes for excellent strength and rigidity characteristics. ADVANCED SWINGARM: Asymmetrical swingarm provides excellent strength/rigidity balance and a dynamic look. Cast aluminum cross-members, extruded arms and a 22mm rear axle are carefully tuned for optimum handling. FULLY ADJUSTABLE FORKS: Fully adjustable 46mm fork provides 10.6 inches of wheel travel. A forged lower triple clamp and a cast upper one help give outstanding front-end feel. An aluminum steering stem reduces weight. LINKAGE-STYLE SHOCK: Linkage-mounted rear shock provides 10.6 inches of travel with adjusters for compression damping, rebound damping and spring preload—and features a large 14 mm rod and 46mm cylinder for excellent damping and fade resistance. DUAL WAVE-TYPE DISC BRAKES: Wave brake rotors front and rear, including a large 250 mm front disc, reduce unsprung weight and provide excellent performance. And the rear brake pedal is forged aluminum for durability. HIGH-TECH FOUR-STROKE POWERPLANT: 250 cc liquid-cooled, DOHC engine with two titanium intake valves and two steel exhausts, forged piston and direct-plated cylinder for outstanding durability. 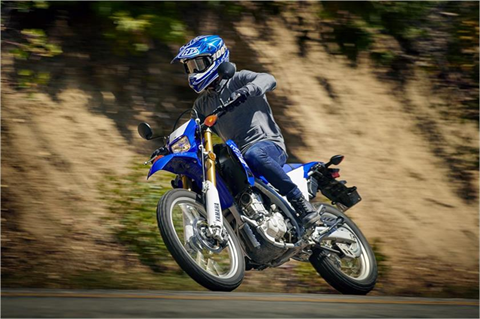 ADVANCED, HIGH-REVVING CYLINDER DESIGN: Pentroof combustion chamber with downdraft-type straight intake helps make excellent power across the rev band, with maximum power at 10,000 rpm. 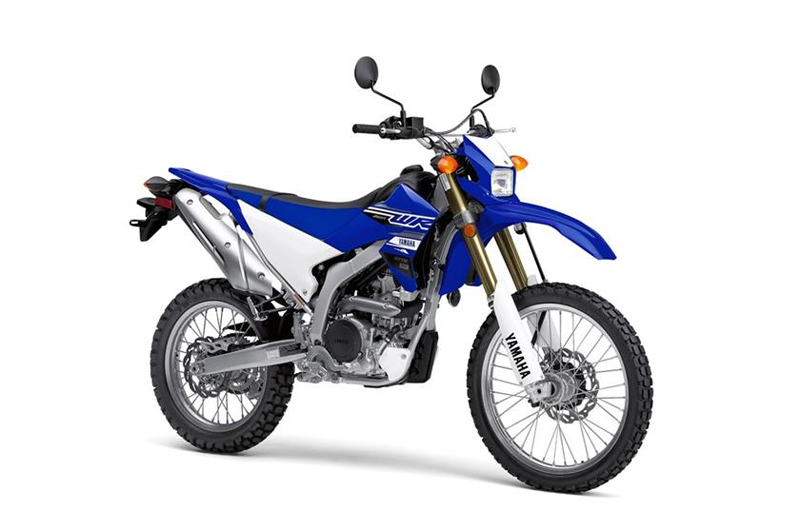 FUEL INJECTION: First use of fuel injection on a 250 Yamaha on/off-road bike. 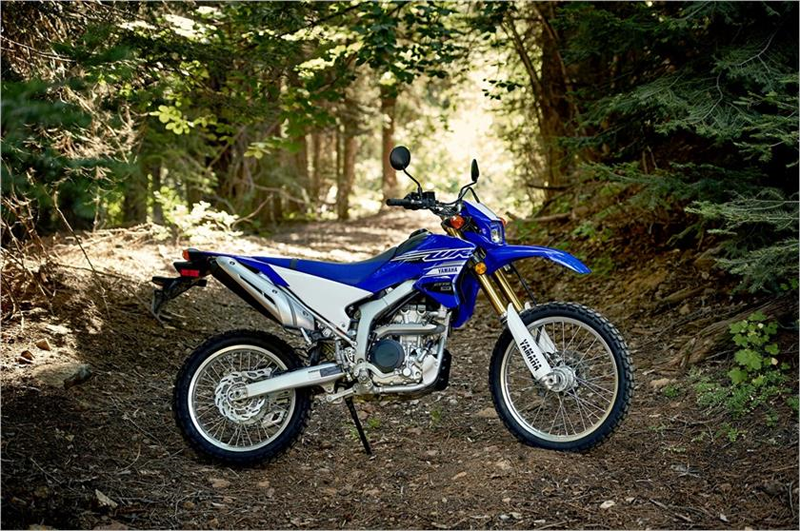 The system relies on input from a crank sensor, intake air pressure sensor and throttle position sensor feeding a compact ECU to provide optimum combustion. 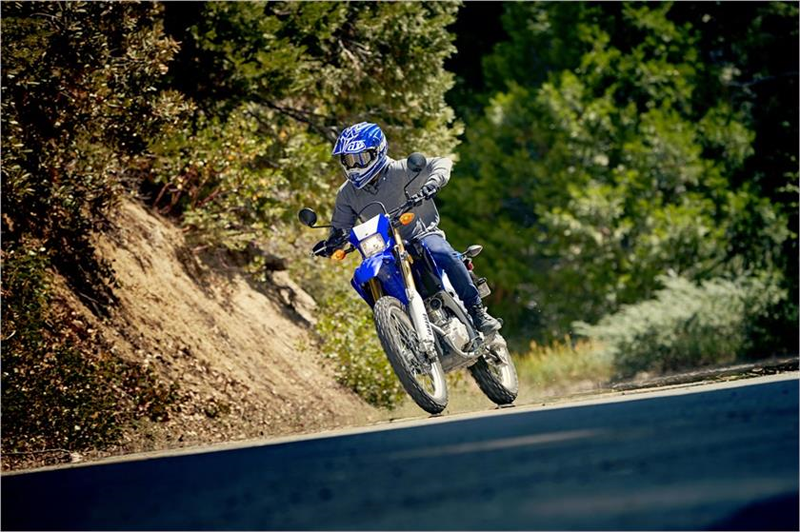 EXUP® EXHAUST: An ECU-controlled EXUP® exhaust valve, along with an electronic intake control valve, broadens the powerband for more responsive power. DURABLE ENGINE INTERNALS: High-lift cams have WPC surface treatment in which the surface is sprayed with fine powder at over 100 meters per second to increase surface hardness, improving durability and reducing friction losses. COMPACT ENGINE: Three-axis engine layout keeps the engine compact. The wet oil sump tucks between frame rails to keep the engine height down and minimize overall chassis size. HIGH-PERFORMANCE GENERATOR: Rare earth-type ACM alternator keeps the weight down while providing the current needed to run the FI and lighting systems. 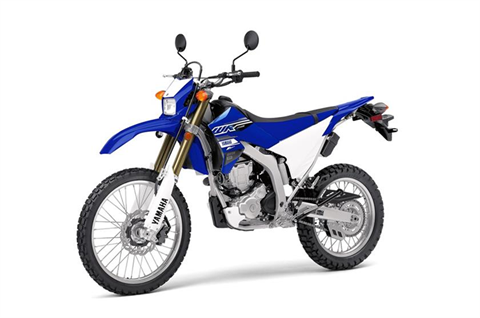 COIL-ON-PLUG IGNITION: Direct ignition coil sits atop the spark plug, for a high-energy spark and reduced weight compared to conventional coils and high voltage spark plug wires—another first on a Yamaha on-off road model. 6-SPEED TRANSMISSION: Six-speed gearbox provides a wide spread of ratios, with shower-type lubrication for reliability. A special light-action clutch makes shifting a snap. 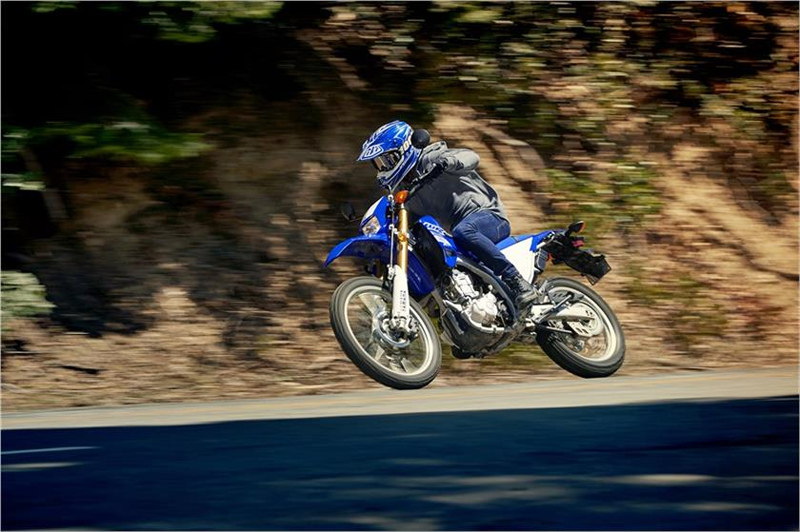 COMPACT MUFFLER: Tucked-in three-chamber muffler helps keep mass centralized and the bike quiet. 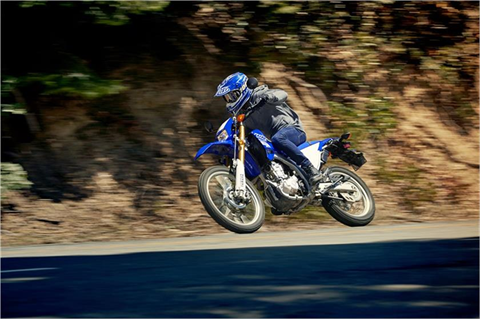 NARROW, RIDER-FOCUSED ERGONOMICS: A slim steel fuel tank is shaped with knee grip in mind, and the entire ergonomic layout is designed to make the rider feel like part of the bike. RACING-DERIVED SADDLE: Narrow, YZ-inspired seat features gripper-type cover for great seat-of-the-pants feel and improved connection to the machine. ENDURO INSTRUMENTS: WR enduro-style instrument panel provides excellent visibility in spite of the compact size. Basic mode provides speed, clock, trip meter and self-diagnostic function, while a measurement mode includes a stopwatch and distance-compensating trip meter. COMPACT BODYWORK: Minimalist front and rear fenders are designed for function, simplicity, and lightness. Bodywork with a separate radiator heat outlet helps keep engine and rider cool. 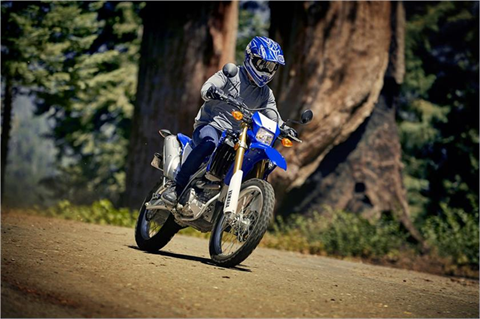 HIGH-VISIBILITY LIGHTING: Lightweight headlight and LED taillight maximize visibility and draw less current. 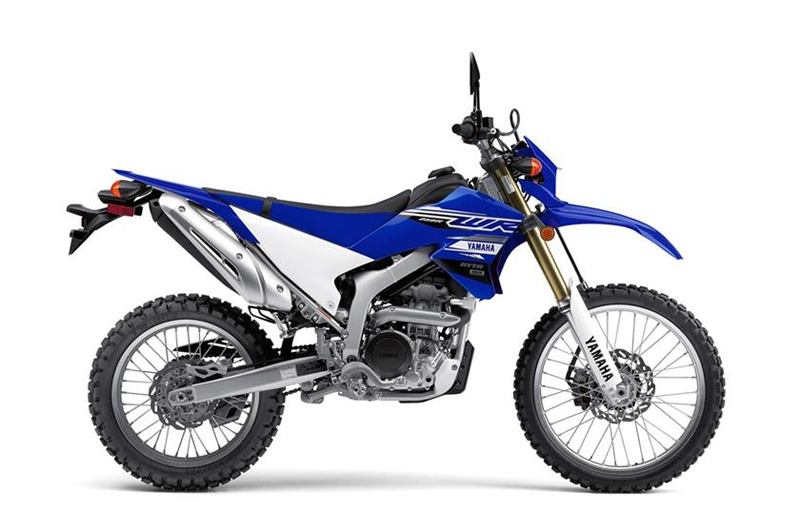 YZ-F DEVELOPED DUAL-SPORT: Directly descended from our YZ® motocrossers and WR® off-road machines, the WR250R™ is here to make Yamaha’s off-road prowess street accessible, with high-specification components and top-notch build quality rarely seen in the dual-sport segment. 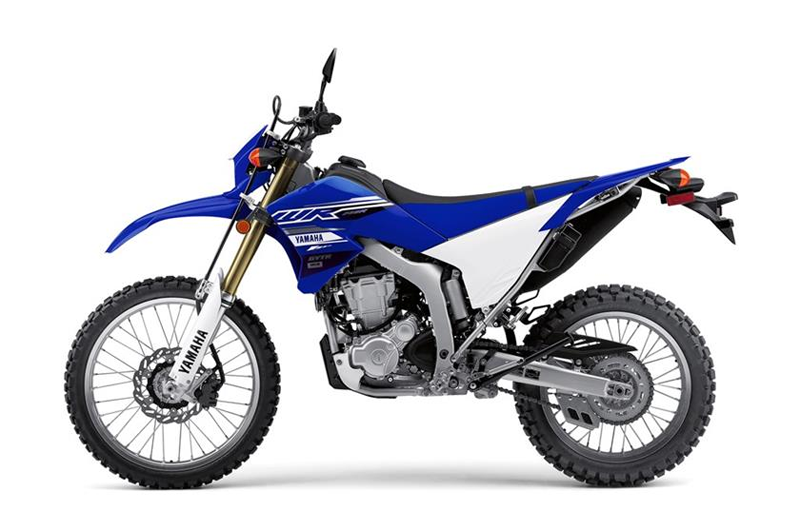 DIRT-FOCUSED PERFORMANCE: Not exactly an enduro model and not a pure streetbike either, the WR250R is for riders who ride off-road more than on, and are looking for extreme dirt capability right out of the box. ADVANCED FUEL-INJECTED ENGINE: Featuring EFI and advanced lightweight engine internals, the WR250R isn’t just another detuned dual-sport, as Yamaha’s race-winning performance and track-tested development comes into focus with every twist of the throttle. FULL-ADJUSTABLE SUSPENSION: With three-way adjustable suspension front and rear, the WR250R’s high-spec fork and shock allow the rider to tune the ride to match trail conditions and make the most of the light, nimble chassis.